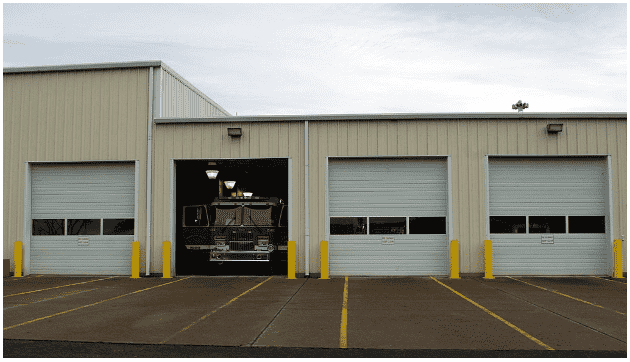 Commercial garage doors, given their excessive use and possible irregular maintenance, are prone to damages and malfunctions. The most common problem business owners face with commercial garage doors is that the door won’t close properly. If you too have been facing the same problem and haven’t been able to figure out what’s causing the obstruction, seek professional help from one of our commercial garage door service experts. Continuing on the subject, we list four common reasons why your commercial garage may not close properly. If commercial garage doors stay open for a long duration, the sensors may catch dust and dirt, and even pollen can settle down over them. It is therefore important to clean and maintain the sensors periodically in order to avoid possible damages. Malfunctioning sensors can be a safety hazard not only to your vehicles and other assets but also to your employers. If any of your garage doors isn’t closing properly, check the alignment of the sensors on both the sides. Blinking lights of the sensors indicate that the path of the invisible light is not correctly aligned. The sensors can be easily aligned by pushing or loosening the knob against the metal bracket. If the light flashes properly, it means the sensors are properly aligned. If your door is stuck and produces a grinding sound, the gears inside the openers may have worn out and may need replacement. You need to disconnect the power supply and release the emergency catch before starting the repair. If the door still doesn’t function properly, check the alignments of the door and the side tracks. The door’s weatherstripping at the bottom edge should be in close contact with the ground. If the door doesn’t close properly, check and adjust the opener knob settings. One of the knobs controls the door movement while other how far the door opens. Adjust the knob to lower down the door properly or it may go off track and severely wear out. If you are unable to identify the issues in your garage door, consult one of our skilled commercial garage door service professionals. The team of expert technicians at Overhead Garage Door, LLC, is equipped to address all types of commercial garage door problems. We also provide commercial door installation and maintenance services, along with 24×7 emergency repairs. To schedule a service call, fill out our contact form or simply call (800) 471-4505.